Published findings in Cell Stem Cell describe how the single-cell analyses identified a subpopulation of cells critical to glioblastoma formation—the early primitive progenitor cells of oligodendrocyte brain cells, pri-OPC progenitors, according to Q. Richard Lu, Ph.D., lead investigator and Scientific Director of the Brain Tumor Center at Cincinnati Children's Hospital Medical Center. The data suggest that reprogramming of primitive oligodendrocyte progenitors into a stem-like state plays an important role in glioma initiation and progression. 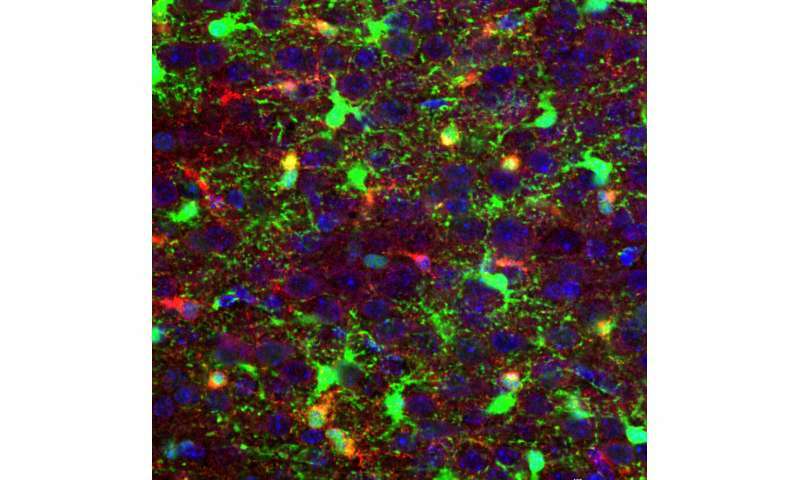 The researchers' primary molecular target in the study, a protein called Zfp36l1, launches biological programs that mirror those of healthy early brain development in the mice, but instead help fuel brain cancer growth. The discovery presents an opportunity to find out if new therapeutic approaches can stop glioblastoma at its earliest stages of initial formation or recurrence, Lu said. "When we used small RNA-interfering molecules to inhibit the expression of the Zpf36l1 gene in mouse and human glioma tumor cells, it significantly decreased the rate of glioma cell growth and spread," Lu said. "In mice with glioblastoma tumors, genetic knockout of Zpf36l1 significantly increased survival time for the animals."